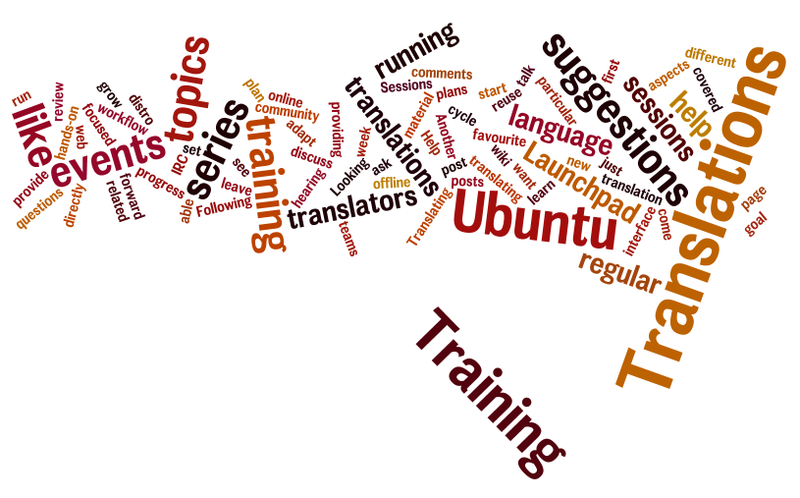 Following the first in the series of posts about the plans for Ubuntu Translations on this cycle and their progress, this week I'd like to talk about Translations Training Sessions. What we'd like is to run a series of regular events where translators can just attend and learn, in a hands-on way, all the different aspects of translating our favourite distro. There, they should also be able to ask their questions and discuss any topics related to translations. Another goal is to also provide material for all teams to adapt and reuse for their own training events for new translators. Do you want to help grow your translations community in your language? Help us with the training sessions by providing suggestions for topics you'd like to see covered in them. You can also help by running the sessions yourself! You can leave them as comments on this post or directly on the wiki page we've set up for that here.